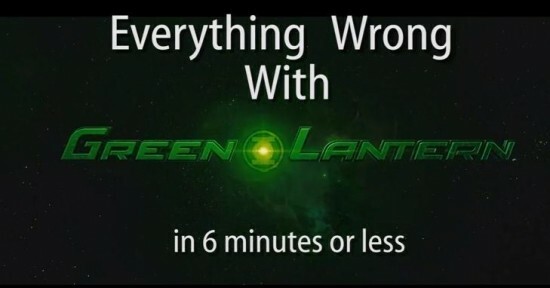 So here’s what we know about Green Lantern, the upcoming film from DC and Warner Bros. The story follows Hal Jordan (not Kyle Rayner or John Stewart, as speculated), Mark Strong is playing Sinestro, and Peter Sarsgaard is playing the evil Dr. Hector Hammond. Given those two roles, you would think that the main villain would be one of-if not both of-these two characters, right? Think again. We’re just now getting word from Warner’s official one sheet synopsis of the film that the main villain will be an evil universal force known as “Parallax.” We know this name too, as it’s the creature that inhabits Jordan in the comics, forcing him to go nuts and practically wipe out the rest of the Green Lantern Corps. The film also stars Blake Lively as Carol Ferris, Angela Bassett as Amanda Waller, Taika Waititi (Flight of the Conchords) as Abin Sur, and Tim Robbins as Hammond’s father, Senator Robert Hammond. Check out the full synopsis after the jump, and be sure to check out our coverage this year’s San Diego Comic-Con as we expect plenty more news about the movie and maybe even some scenes too. It appears the search for Green Lantern‘s arch enemy Sinestro is finally at an end. Amid speculation that is was going to be Jackie Earle Haley and other confirmed casting news about the film, it now looks as if Sherlock Holmes veteran Mark Strong is the clear winner and will definitely be taking on the role — assuming Geoff Johns knows what he’s talking about. According to MTV’s Splashpage, Johns visited the New Orleans set of director Martin Campbell’s Green Lantern, the upcoming DC Comics adaptation starring Ryan Reynolds, and once there decided to let a few details about the project slip out via his Twitter account. It would appear the newly appointed CCO of DC is giving his stamp of approval to the film and also managing to confirm several details for fans everywhere all at the same time. Seeing as how Johns is the man pretty much responsible for putting Green Lantern back on the map and probably had a great deal to do with this feature film adaptation moving forward, his thoughts should go a long way to put fan’s worries about the film’s quality to rest. Personally, I was pulling for Guy Pearce to be cast as Sinestro. Still, Mark Strong could be a great choice. I guess we’ll see soon enough. What do you guys think? Principle photography for DC and Warner’s newest superhero flick, Green Lantern, starts up this month. With that, we’re expecting to see lots of news on the casting front of the film. On that note, Heat Vision is reporting that Academy Award-winning actor Tim Robbins will be joining the cast. Robbins is set to play Senator Hammond, the father of the film’s villain Hector Hammond, played by Peter Sarsgaard. The role will be mostly supporting, but with a name like Robbins filling the shoes, we can expect it to be longer than 30 seconds. Robbins will join an already hearty cast of Ryan Reynolds, Sarsgaard, Blake Lively, and a rumored Mark Strong as Sinestro. Martin Campbell (Casino Royale) is taking on the task of directing, and he’s already reassured the easily irritable fan community by stating that most of the film will take place off-planet. Last week, some interesting concept art got leaked online, and may have given us a first glimpse of what the rest of the Green Lantern Corps could look like. We’ll be sure to keep you posted as more information on the film comes our way.